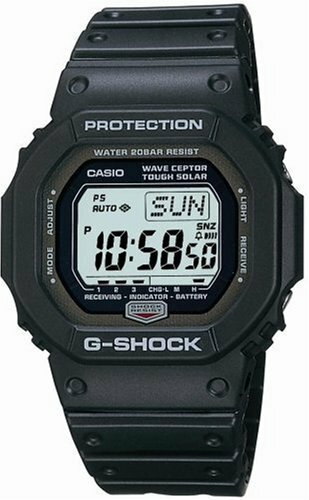 This Casio watch is a great buy. The styling is classic from 1983, but the features are from the 21st century. This watch is solar powered, and it has a cool timekeeping technology called Wave Ceptor. This technology synchronizes the watch with atomic clocks in Japan (or the USA) via radio waves. This keeps the watch super accurate, and it works well here in Toyama. Despite these high-tech features and rugged construction, the watch isn't expensive. Finally, It feels and looks great on my wrist - comfortable and solid. Highly recommended.